It took me a bit to figure out what I wanted to blog about for my first post. I have followed InspyRomance for awhile, so I’ve seen the different topics. But it’s completely different when it’s your turn. So, I’ll tell you a little bit about myself and how it translates to my writing. And of course, I’m offering an eBook giveaway, in celebration of my first blog post. So here goes! What do you want to know? How about the fact I was born and raised in Texas, which means I love to say y’all and talk “funny” as my kids say. However, I got teased a lot as a kid when I moved to Idaho (we stayed there for 3 years before moving back to Tx), and so now I’m adapt at hiding my accent when I’m around strangers. After high school graduation, I did six years in the Air Force. The best thing about my service is meeting my husband. We’ve been married for almost 14 years and have two awesome, boys who make me laugh and regale me with tons of animal fact data. But how does that influence my writing? I can tell you because I moved around a lot as a kid and as an adult thanks to the USAF, I’m fond of picking small towns with a community feel. A place that has roots and where people know one another. That doesn’t mean one of my characters won’t be new to town, but it does mean they’ll be family by the end of the story. In fact, when I decided to write my Freedom Lake series, that’s exactly what I was going for. A small town that would rally around folks who are dealing with some tough issues. I’m also a hopeless romantic, though my 14 years of marriage assures me it’s not hopeless. ;) I love writing stories with a romance that will linger on every page and keep the reader turning. In fact, I’ll read any genre under Christian (or clean) fiction as long as it has romance in it. I also like food. If I had to pick a favorite, it would probably be Mexican. Otherwise, I don’t really have a favorite. As long as it taste good and I didn’t cook it, I’ll eat it. ;) It’s part of the reason I created my Maple Run series. The characters there frequent The Maple Pit, a restaurant that serves maple inspired dishes. I tell you, I get hungry every time I write a book for that series. Last, it’s important to note that I’m a die-hard Dallas Cowboys fan. I have one novella, A Sidelined Christmas, that features a football player. I had so much fun writing him and maybe one day I can bring in my football mania to more books. :) Until then, I’ll save my exuberance for NFL football. Well, that’s all for now. Now you know a little bit more about me. Before I go, I’d like to give away an eBook of Returning Home to one reader (anywhere in the world). One commenter on this post will be chosen at random Friday, April 11, and notified by email. Leave a comment letting me know something about you! Toni Shiloh is a wife, mom, and Christian fiction writer. Once she understood the powerful saving grace thanks to the love of Christ, she was moved to honor her Savior. She writes to bring Him glory and to learn more about His goodness. She spends her days hanging out with her husband and their two boys. She is a member of the American Christian Fiction Writers (ACFW). Find out more on her website at http://tonishiloh.com. Hi Toni and welcome to inspyromance:) How exciting that you can join the ‘family’ here. Thanks for sharing about yourself. I also have 2 boys and they certainly keep me on my toes! I find it interesting that there (seem to be) quite distinct accents in the US. I imagine it is the same here in Australia- though I have to confess to only noticing any differences when I am in a more rural area as opposed to the city, or speaking with older relatives. I am sure someone who visited Australia would pick up on differences that I don’t notice. Thanks for telling about yourself! I enjoyed learning more about you, especially since I have a lot in common with you and I got to meet you this past weekend! It was awesome meeting you, Kris! Hi Toni! Welcome to Inspy Romance. Thanks for sharing a bit about yourself and how your opportunities inspire your writing. I was born in Berlin, Germany and moved to the USA at age 5. I have lived on both sides of Lake Michigan. Most of my life in a small community in SW Michigan and 10 years in the Windy City Chicago. I have 3 sons and 2 talented daughter-in-laws, 2 grandsons (ages 13 and 11) and 2 granddaughters (ages 5 and 2). I am a retired English teacher, who loves to read. Primarily I read romances and cozy mysteries, with an occasional non fiction book thrown in. Best wishes. Hi Toni! Thanks for telling us about yourself. Its always nice to know about the person behind the book. Thanks for the chance! Toni! Yay, so happy to have you join us here! I adore Inspy and love your books! I’ve said it before, but I will again – thank you for your service! Now, I did not know what a football fan you are, I am as well! My hubs thinks I am crazy because I am such a die hard fan and scream at the TV. I must tell you though – my heart belongs to the NY Giants, so we are definitely at an impasse there, lol!! Uh oh, Paula! Guess we’ll just have to get along so well off season we forget the pain of being in the same division. ;) My kids always plug their ears or leave the room when I’m watching football, lol. Hi Toni! So glad to get the chance to know you better! Did you say Maple?! The idea of visiting that restaurant sounds delightful. I enjoy squeezing a dollop of maple syrup into my greek yogurt to add a little more sweetness to it. Yum! Thanks for sharing a little about yourself. My daughter is currently stationed in Enid, OK with the Air Force! hank your daughter for serving for me! I’m so glad you’re here! I enjoy your writing, and it was fun getting to know you better. I’m glad to be here too! Thanks, Julie! I grew up in Idaho! To hear anyone say they’ve lived there, even for a short time, is a rare treat. 😉 I lived in a tiny town of 440, so small towns have a special place in my heart, too. I’m also a hopeless romantic, have two boys, and love Mexican! I was just accepted to be one of the blog reviewers for your Risking Love tour with Celebrate Lit, so I’m looking forward to finally reading one of your romances! I do hope you enjoy Risking Love! I have the best job.. librarian. Thank you for the chance! That job is pretty awesome! Thanks for getting books to people! Welcome Toni to your first blog post. Congratulations. And hey, fist pumping and dancing are totally acceptable. We need to show our enthusiasm. Isn’t it wonderful how God orchestrates our lives? I find it fascinating. Thanks for sharing a bit about yourself. I have been married now for 35 years. Our church had a camp. My husband and I met on the way home in a bus. Eight hour trip. So we had a lot of time to talk. We have two beautiful and down to earth children. Richard is 33 and has been married four years. Heather is 31 and single and loving it. Though God has brought a wonderful man into her life. We will see where God leads her. I was born in CA, in 4-H, barrel raced. I love to quilt/sew and make my own greeting cards. I was a server for many years. I have a heart for the elderly and children. For almost 23 years I was in the nursery at church. I am now retired and loving it. Barrel racing! So cool! And what an awesome marriage story! 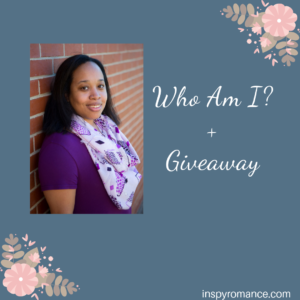 Welcome to Inspy Romance, Toni! I enjoyed reading your post. We have several things in common. I like setting my stories in small towns too, and I feel the same way about books–they need to have at least a little romance. I once said, a book isn’t worth reading if it doesn’t have at least a little romance in it lol. And food? Oh my–I get so hungry when I’m writing food scenes. I agree! Romance is necessary! 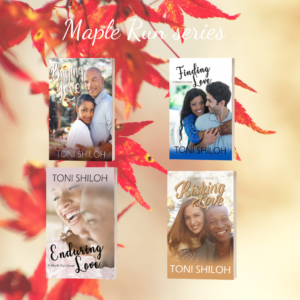 Welcome to Inspy Romance, Toni! I attended a small Christian boarding school in Alberta, Canada, the high school where I met my husband of coming-up 39 years! But that’s not today’s story. Hi, Toni. Thank you for sharing. Hi, Toni! My husband and I are from TX. We met at Baylor University and have been married 34 years now. He served in the USAF for 9 years. We have twin daughters who are both married, and we have 1 adorable 6 year old granddaughter and another granddaughter due next month. I love small town settings for books. Go Texas! And congrats on the 34 years! Hi, Toni, nice to meet you!! Thank you for your service, and thank you for writing books!! I love finding new authors!! It’s like finding a misplaced present, isn’t it? Hi Toni. I am a retired librarian who has always lived in Kentucky! I’ve driven through Kentucky once. One day I’ll visit for real. So fun to read about you (My daughter Kattarin first ‘introduced’ us – you’re in a group together somewhere). I want to know where in Idaho you lived (I did my time there once upon a time)! And I respect your love for the Cowboys – please write a football story – I bleed Seahawk’s blue and green! I lived in Lewiston. Do you know where that’s at? And I really should do another football story. One with more football! When I married my husband, he was in the Air Force. We lived in Taiwan the first 9 months of married life. I like to tell people that he took me to Hawaii for my birthday… We got married Dec 29, and flew to Taiwan on my birthday. In those days the planes stopped in Hawaii. It was the middle of the day when we landed, and there wasn’t any airport security then, so we went outside the terminal and he bought me a lei! That’s awesome! I’ve been to Portugal only because the plane stopped there on my way to England (where I was stationed). Toni, welcome! From a fellow InspyRomance newbie! God bless you with many blog post ideas!